Perfect Laser is the world famous manufacturer for pin marking machine. 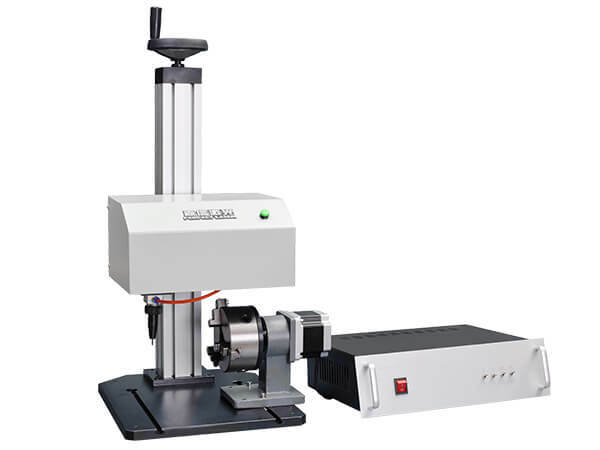 Our rotary pin marking machine (Model: PEQD-025) support both flat marking and rotary marking. The pin marking machine can permanently make marks on the surfaces of various materials, including letters, numbers, serial numbers, etc. 1. The pin marking machine can do both flat surface marking and rotary marking. 2. The dot peen marking system using lifting structure to ensure the realization of multi-function. 3. The dot peen marking system has a powerful editing function, can automatically mark any letters, characters, images and other signs. 4. Support AutoCAD, CorelDraw and other DXF format design logos and graphics. 5. The pin marking machineSupports various fonts such as MG font, CHR in Borland, SHX font in Auto CAD, and TTF in Windows. 6. The marked content will be saved automatically and will not be damaged due to the machine shutdown. 7. 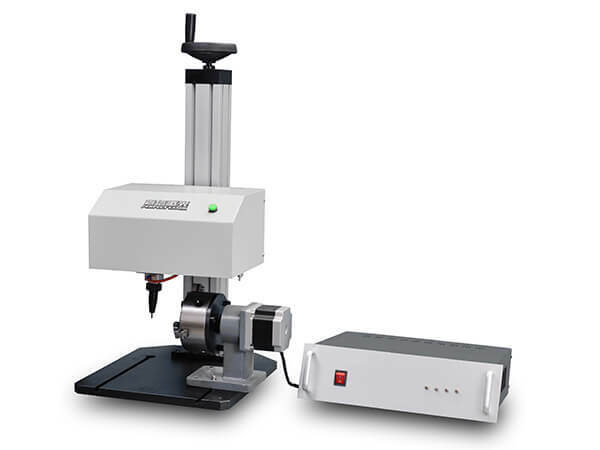 The dot peen marking system supports both 2D and 3D rotating is available. The pin marking machine is widely used in all kinds of metals, steel and plastics and other non-metallic industries, such as automotive, motorcycle manufacturing industry, aerospace, electrical production. The dot peen marking system mainly used in the surface of various metal or hard plastic products such as frame, engine, steel pipe, machine tool, pump body.